Graeme recently was lucky enough to play Farpoint using the new PlayStation Virtual Reality (PS VR) aim controller, with our resident gaming guru Gareth Woods. It looks like this is going to be the new craze. The PS VR throws you into a dangerous alien world where you have find ‘The Pilgrim’ a crashed space station, and its survivors, to be able to make your way home. You have to do all of this while being constantly being attacked by aliens and all you have is a second-tier arsenal of weapons. The game has an open world environment allowing you to roam freely on the alien planet. The video game was specially designed for PS VR, meaning that you get full control with the Aim Controller, truly making a new and cutting edge virtual-reality game. 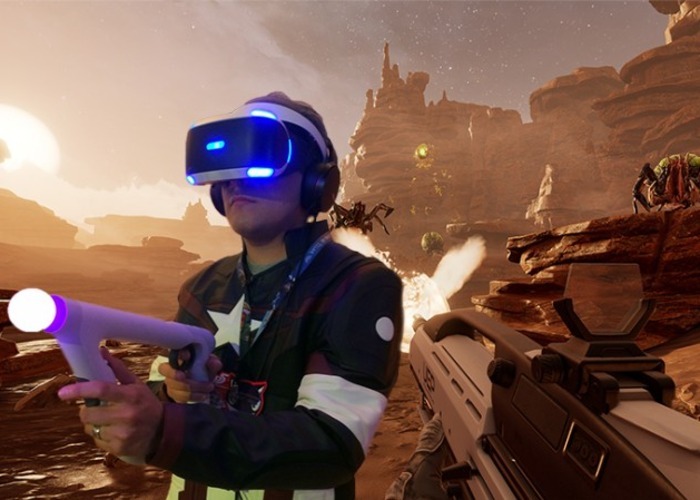 The PS VR aim controller and Farpoint bring a whole new meaning to first person shooter games.